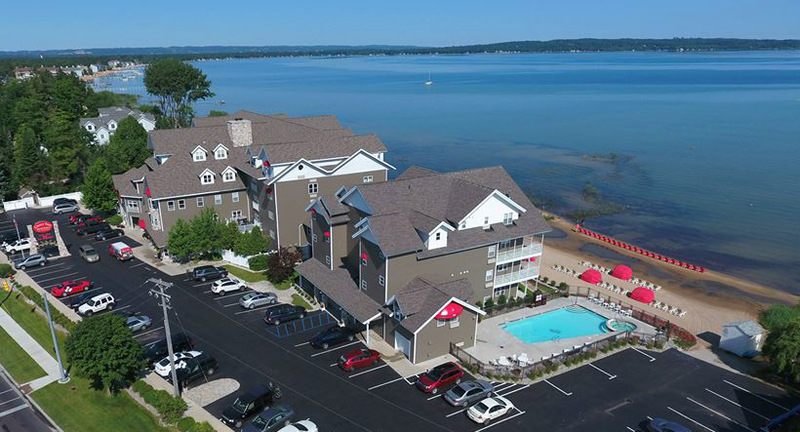 The Cherry Tree Inn & Suites is one of Traverse City’s leading hotels in service, cleanliness and comfort. Offering our guests 400 feet of waterfront, the Cherry Tree’s facilities provide the comfort you look for while our staff provides the service you need. Our amenities include a free breakfast with locally roasted and freshly ground coffee, free WiFi, shuttle service, 24-hour indoor pool, hot tub, and dry sauna, year round outdoor hot tub, seasonal outdoor pool, and fitness and arcade rooms. All guest rooms feature pillow-top mattresses, comfy pillows, HD TV’s, bedside docking stations, Seattle’s Best in-room coffee, Tazo teas, irons and ironing boards, safes, and kitchenettes with microwaves, refrigerators, and sinks. 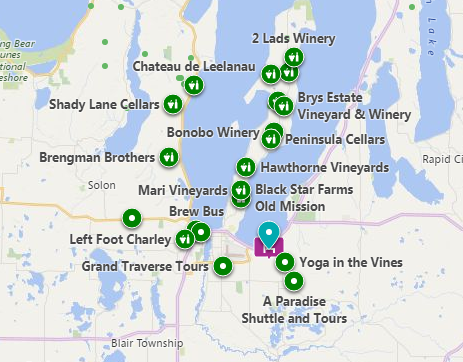 Reserve your stay at one of Traverse City’s best!